OMG, "Queen Camilla" just does not sound right, but more than likely, it will happen. It sounds about as bad as "Queen Catherine" (Kate). I'd rather had seen "Queen Diana". There was a Queen Catherine (of Aragon) in the Tudor Dynastie. But there is a huge differnce between those two. And Catherine of Aragon wins. Katharine of Aragon is my favorite Tudor Queen, so I agree. She wins hands down! Despite being married to Charles for nearly six years, Camilla still faces fierce opposition from most Britons to the idea of her becoming Queen. But yesterday the Duchess of Cornwall gave a public hint that she hadn’t given up on the idea herself. The remark comes only months after Charles stated for the first time that his wife could be given the title. In November the Prince of Wales was asked in an interview on the U.S. channel NBC if Camilla would be Queen if he became King. I shudder at the idea of Camilla becoming Queen! But of course she will become Queen. If he's King it will be inevitable. I really don't understand why so many people have been fooled into believing it will be otherwise. I also think it's a done deal. When the times comes, both will be crowned...No way she's going to be just"Princess Consort"or staying "Duchess of Cornwall" then. The only reason she's "Duchess of Cornwall" is because that is a title she actually has. 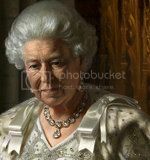 "Princess Consort" is a completely made-up title within the UK, and legally she will be HM the Queen Consort. I knew I'd read somewhere that the legality of the C7C marriage was in dispute and here is an article from Toby Young at the Daily Telegraph. I have also read a comment that the Parker Bowles family is Roman Catholic and although her marriage was annulled she is still married and styill a Catholic in the eyes of the Vatican so that will throw another spanner in the works. In Palace circles, few doubt that this public display of family togetherness was Camilla’s deliberate way of showing the world how well she gets on with Diana’s children. The fact she was giving Kate (whom she calls ‘Catherine’) advice — quite loudly, according to fellow diners — is said to be just the beginning of a relationship forged between two nouveau royals and future Queens that Camilla is anxious is as close as possible. And she is acutely aware that Charles is worried that Kate’s arrival on the royal scene will shift attention away from him and Camilla. a relationship forged between two nouveau royals and future Queens that Camilla is anxious is as close as possible. I wonder if Camilla was spying on HM's behalf. HM doens't want to be seen with her, so she orders Camilla to do it on her behalf and give HM a report on Kate's personality so far. Camilla has seen KM bash Charles and bash her and paint the two of them (Charles nad Camilla) as two conspiring evil demons and Kate as this innocent. Lastly, Camilla's rightful title is going to be Queen Consort. As soon as Charles and Camilla became engaged, didn't we all know she would be Queen Consort? The Royal Family has tried to throw everybody off with this "Princess Consort" crap for years. Cut the crap, and FINALLY reveal the truth. Unfortunately, she will in fact be Queen...that is unless Charles drops dead before The Queen! For all anyone knows, Camilla may die before Charles is crowned and then all of this is mute. This soap opera may end w/Charles being crowned (if he lives long enough) w/o a wife by his side. Do any of us believe he will marry for a 3rd time, after losing not one, but two wives that predeceased him! “It will be up to the Government of the day to decide whether it thinks legislation is needed,” the senior royal adviser said. “Otherwise she will, as you say, legally be Queen but that doesn’t mean she has to be known by that title. Come on, she's wants to be Queen she wouldn't have held on so strong for so long. I think when Charles does become King she'll be the most unpopular Consort in British history. She is being sensitive to Diana ? It's a tad late isnt it ? Why not when Diana was alive, a young mother with two small sons ? C &C thought nothing of their spouses or indeed their children, when they were rutting in the bushes of Highgrove, or conducting their illicit affair in the homes/bedrooms of friends and sychophants. I find it distasteful in the extreme to be talking of being Queen or not , when one's mother in law is still alive. This barrage of PR for C&C is quite obvious to most of us. I agree with BlackQueen, she will be about as popular as Anne Boleyn was. I have resisted commenting on these sites for many years but as someone who believes in the monarchy I feel I must say that it is nonsense to suggest that Camilla does not want to be queen. Believe me, I speak from experience, she does. She sees it as her supreme victory over the late Princess of Wales as she was horrified that the girl she and Charles selected to be a docile child-bearer rebelled. I saw at first hand what they and their circle did to Diana, who was fragile anyway, and it was nothing short of wicked. A person like this must never debase the throne, it would never recover. If Camilla does ascend, it will be as Quene Consort, not Princess Consort. Either way, Camilla set the precedent for Kate and I wonder if Kate is Charles' karma for him marrying Camilla. Stands up and applauds ! !